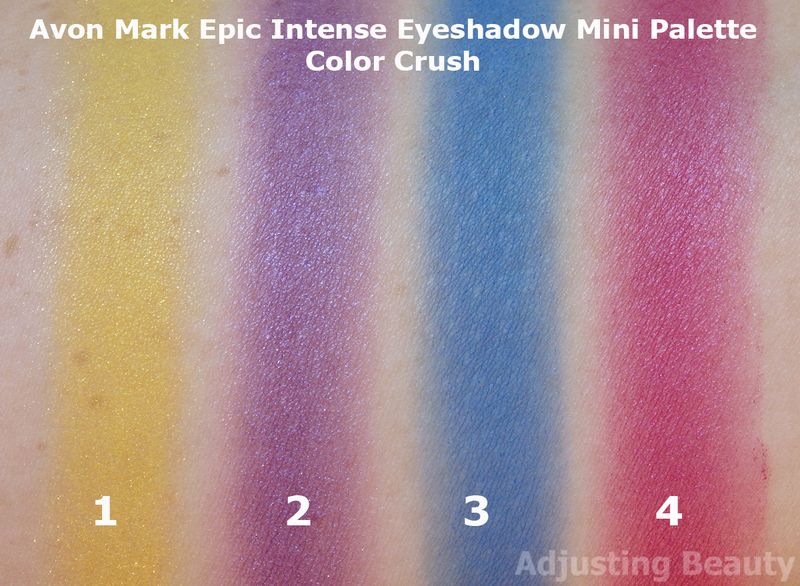 I recently received the most colorful palette from Avon Mark Epic Intense Eyeshadow Mini Palette collection - shade Color Crush and I wanted to share it on the blog, because I think it's so fun. 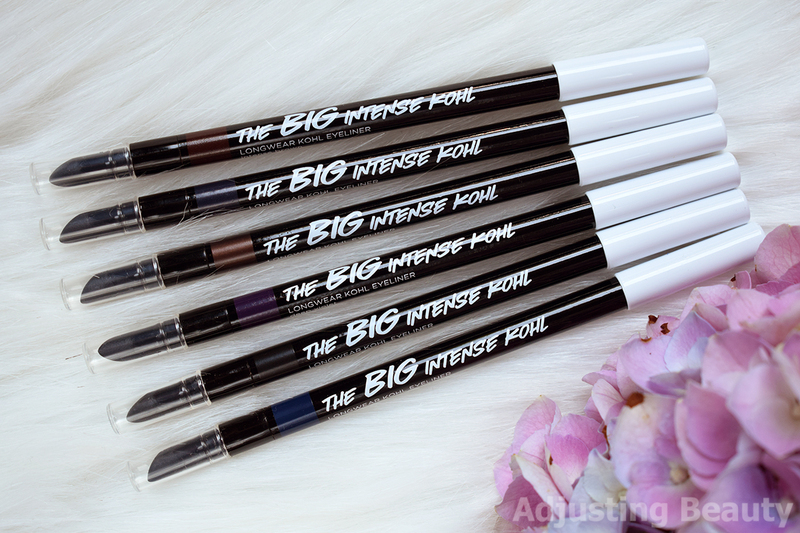 Avon has also updated packaging and added some new shades to their The Big Intense Kohl Longwear Kohl Eyeliner and I'm sharing with you new shades. 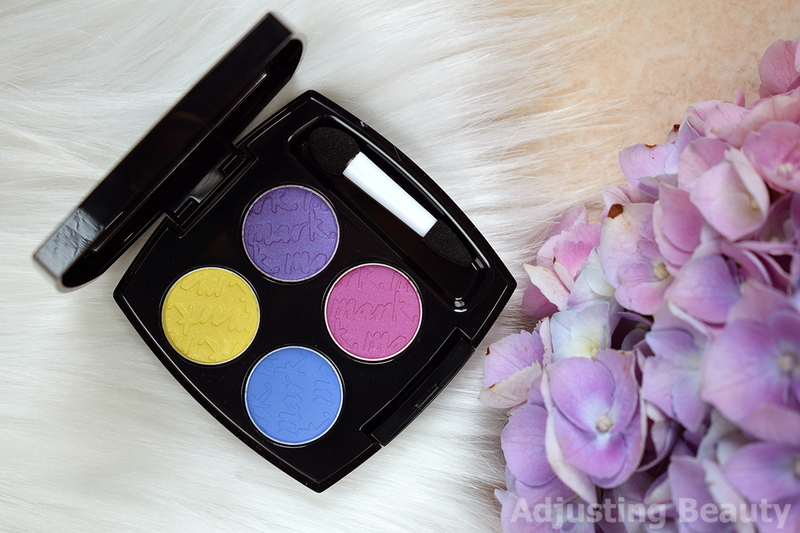 I already tried three of the palettes from this range and you can read review of them here. This is definitely the most colorful selection of shades and I love it. 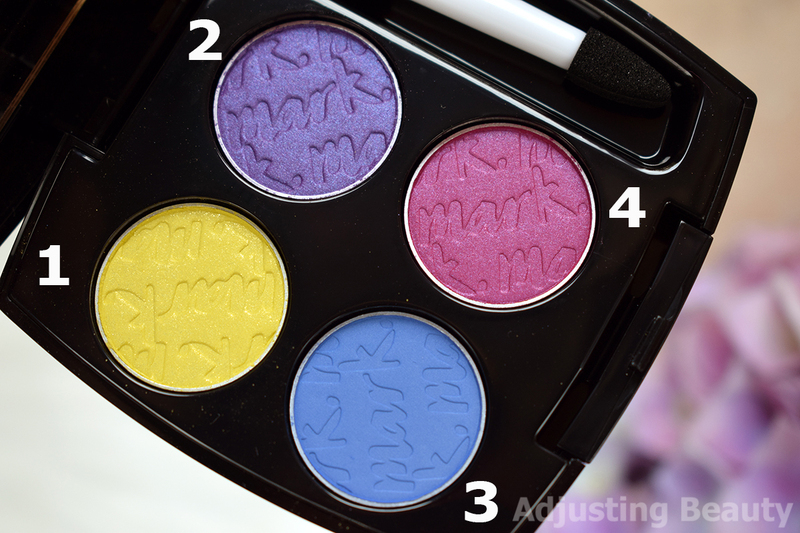 All the shades seemed really well pigmented and this is in general probably the most pigmented palette out of all four. These palettes have shiny black plastic packaging. They have secure closing with the push button. In each is 5 grams of product and the regular price is 13€. Color Crush is the most colorful option in this range. It features four vibrant shades with different finishes. You can create a whole look with just these or pair them with your more neutral shades. Shade 1 - shimmery neutral citron yellow with chunks of gold glitter. Shade 2 - satin cool purple with blue sheen. 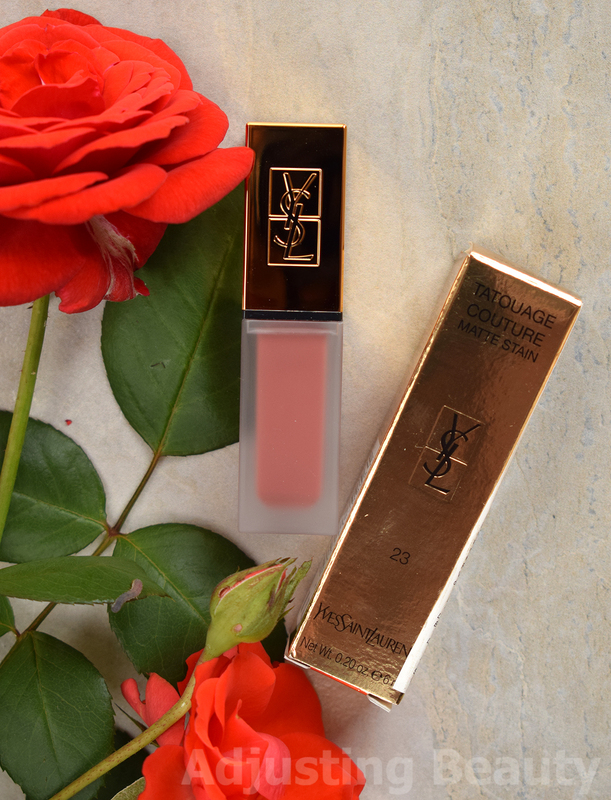 The shimmer in it is super small, so it just gives you this gorgeous cooler sheen. Shade 3 - matte cool cobalt blue. Shade 4 - satin cool fuchsia pink with purple sheen. This one also contains small shimmer like shade 2 and the shimmer gives this color a cooler purple sheen. All of these shades are actually nicely pigmented, but you will need to build them up to look absolutely opaque. Pigmentation is actually the best I've seen so far from these Epic palettes. Formula of Avon eyeshadows is on the drier side. 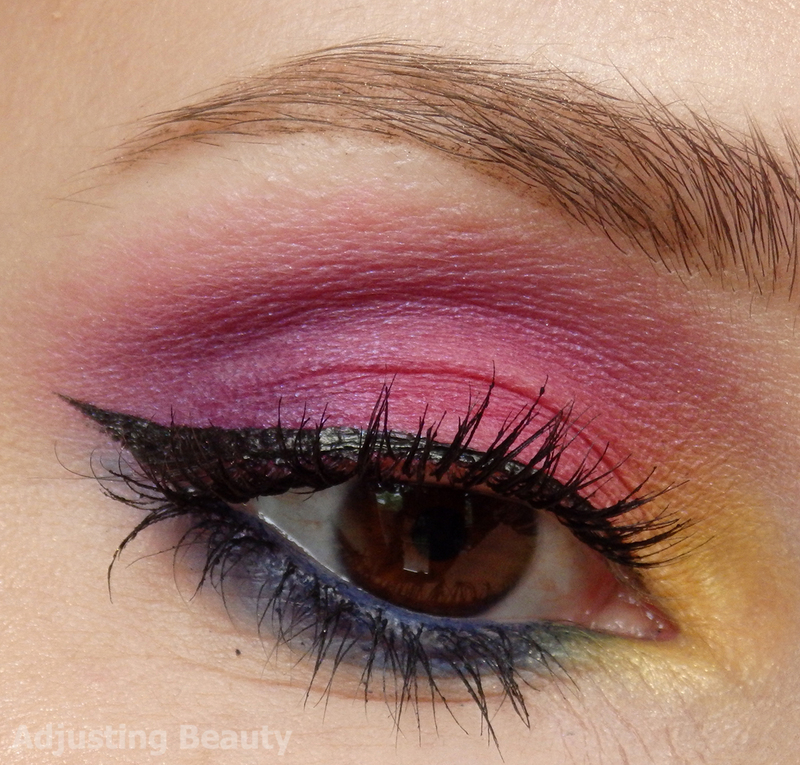 They can be harder to blend, especially brighter shades. They may fade just a bit through the day, but I haven't notice them creasing, although I always use eyeshadow primer underneath any powder eyeshadows. 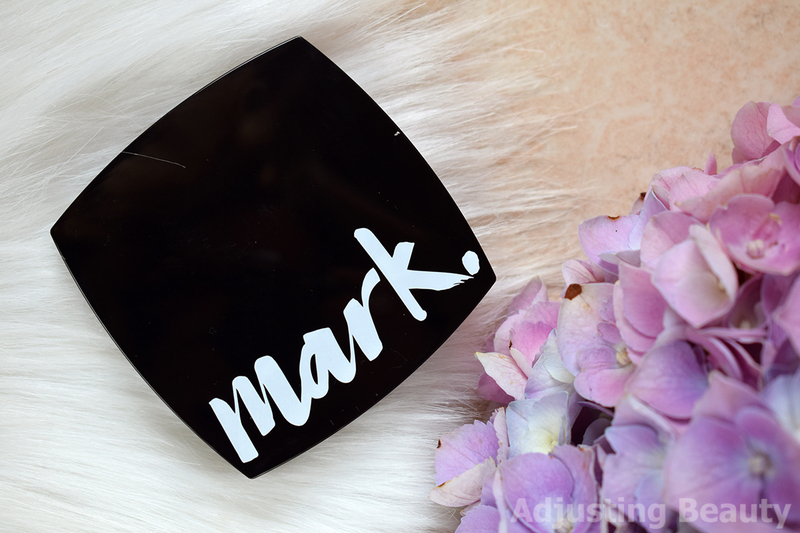 I used shade 1 in the inner corner of the eye, shade 4 in the inner part of the lid and shade 2 in the outer part of the lid and outer v. Around the bottom lash line I used shade 3. In the inner rim I used The Big Intense Kohl in Cobalt. 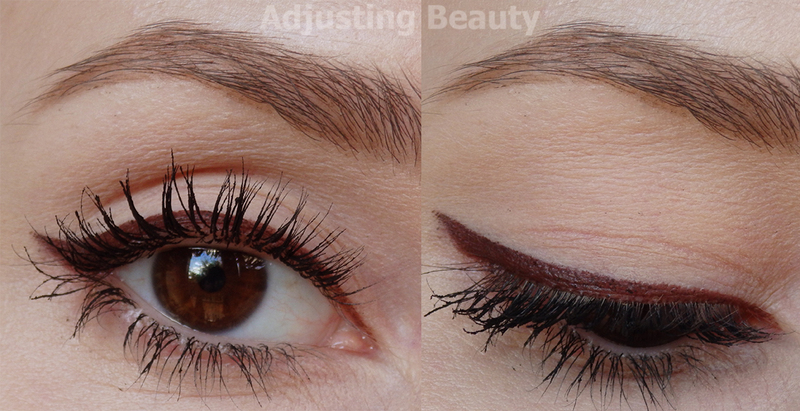 For upper eyeliner I used Clio Kill Black Brush Liner. I also already have a review of these kohls, but they've now been redesigned a bit and Avon added two new shades to the range. I like these, because they are soft and great for smudging out or creating smoky look. You can see swatches of other shades here. These come in a regular black pencil form. On one side you have the pen and on the other it's a rubber sponge which I find quite useful. 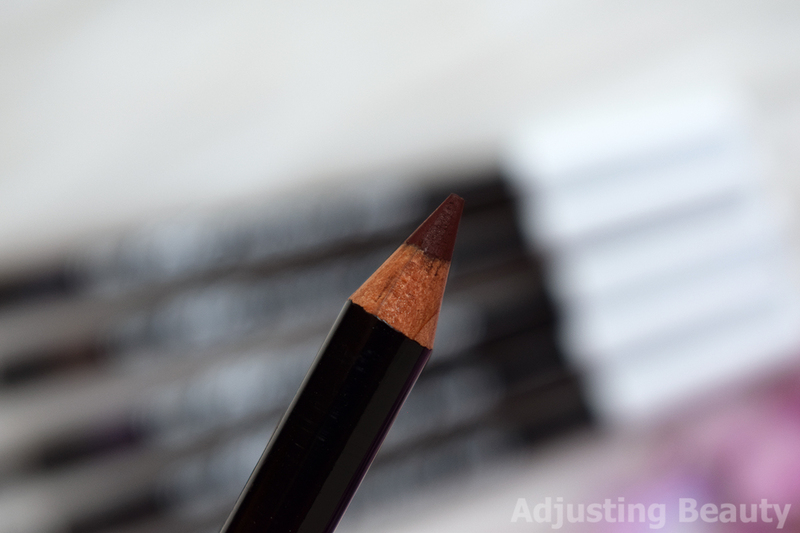 It has pointy tip with which you can easily smudge it out in a perfect wing without too much effort. Very useful in my opinion, especially if you're constantly on the go. Currently they have 6 shades in the range. They are all mostly neutral with a few colorful shades, but still in a darker very wearable version. Bronze Sheen - shimmery warm bronze brown with gold shimmer chunks. Intense Brown - matte neutral dark brown. It seems to have a tad bit of redish tint to it, but it's not actually warm. It just turns really warm on my skin tone. Deep Violet - satin cool dark purple. It has that satin sheen to it, but with no visible shimmer in it. Cobalt - matte cool dark cobalt blue. Midnight - satin cool dark grey blue. This is actually really interesting shade. It's a mix of grey and blue plus also has a hint of purple in it. It's not as satin as Deep Violet, but it's definitely not completely matte. True Black - matte black. 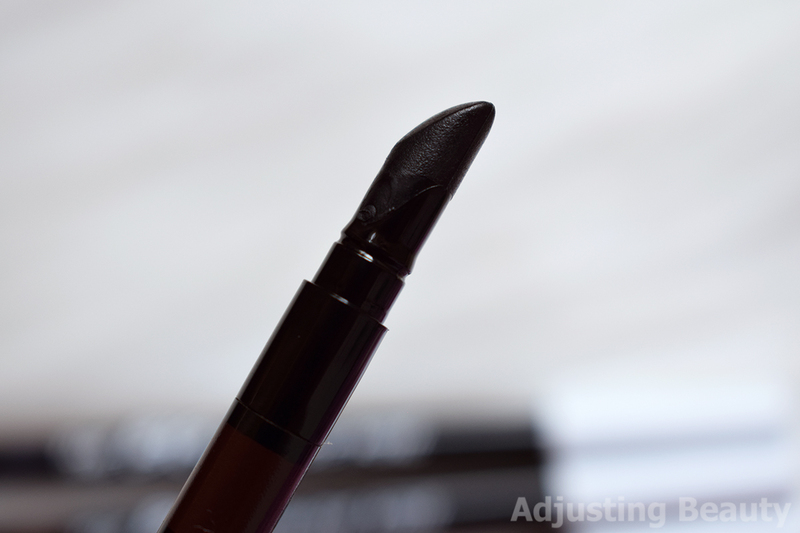 Intense Brown and True Black are the most pigmented and have the most creamy formula. Next would be Cobalt Blue, Midnight, then Bronze Sheen and the least pigmented or the most sheer seems to be Deep Violet. They are all in general on a more creamier side, so they glide on with ease. You can easily smudge them out. I also like wearing these on the waterline. Because they are creamy, they can transfer, if you don't set them and have hooded or oily lids. If you apply a bit of powder or powdery eyeshadow on top, chances of transferring are smaller. But then again kohls are usually for smudging and you can use these almost as a base under powdery eyeshadows. Other than that, they seem to last well on the lids as well as on the inner rim of the eye. 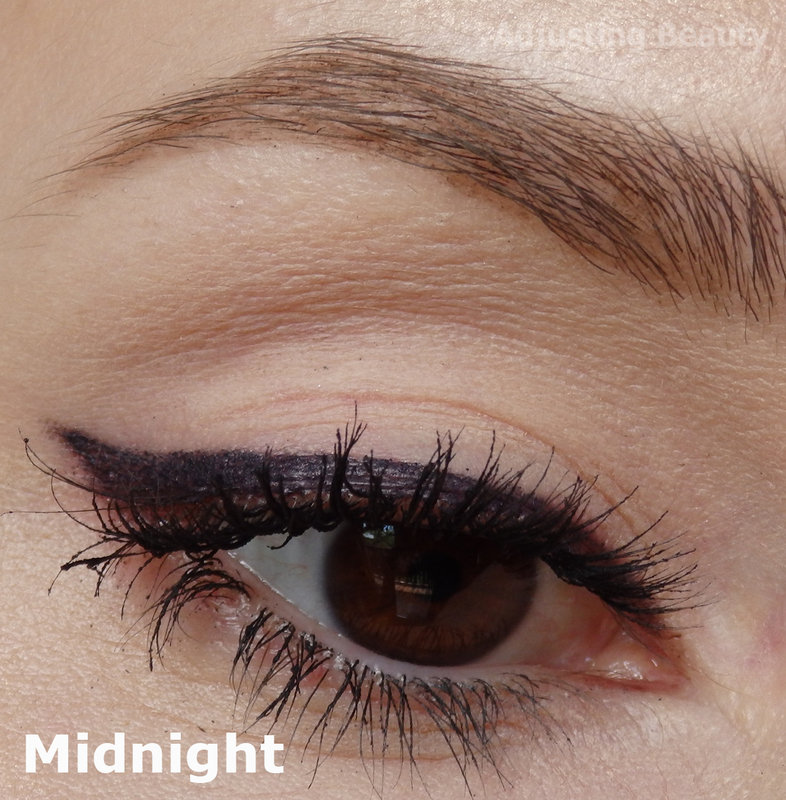 I didn't apply all the shades on my eyes, because I already have swatches here, so I'm only showing you two new shades. I like Color Crush selection of shades. It's harder to find vibrant shades in a drugstore range. These all have interesting finish and perform well on the eyes, but are a bit harder to blend and need to be build up to look completely opaque. 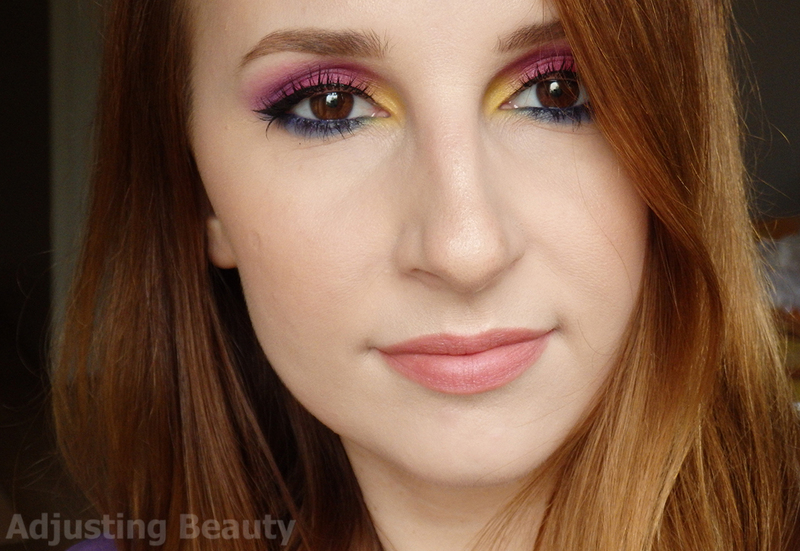 If you want something more colorful and that you can build up slowly, this might be that palette for you. 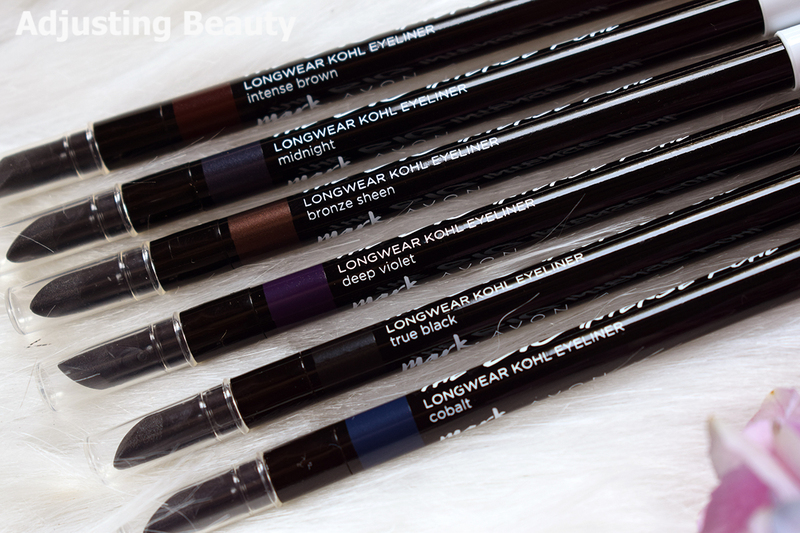 I also like Avon kohls, because they have fairly neutral and very wearable shades. 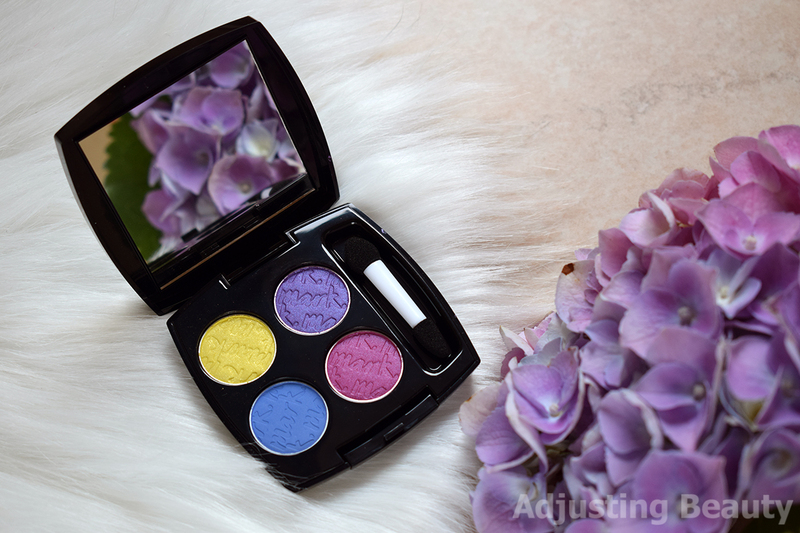 Some could have better pigment, but they are creamy enough and great to blend out. Plus the sponge makes it so easy to pull the color out in a winged shape. 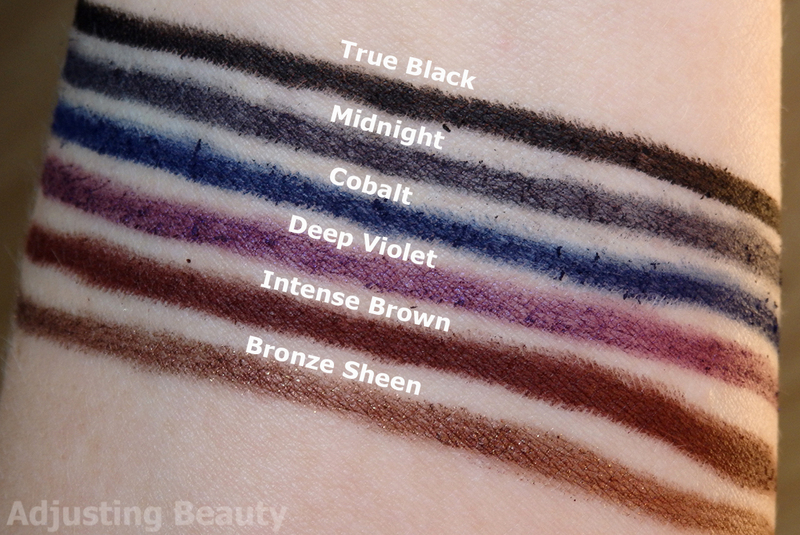 My favorite are definitely true black and intense brown, because they have the best pigmentation. But other shades are great to add to your routine, if you want to add some color, but don't know how. 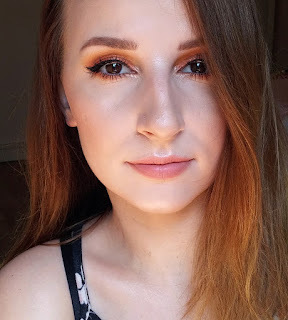 I've been loving a bit of color on my waterline. *Products were sent to me. 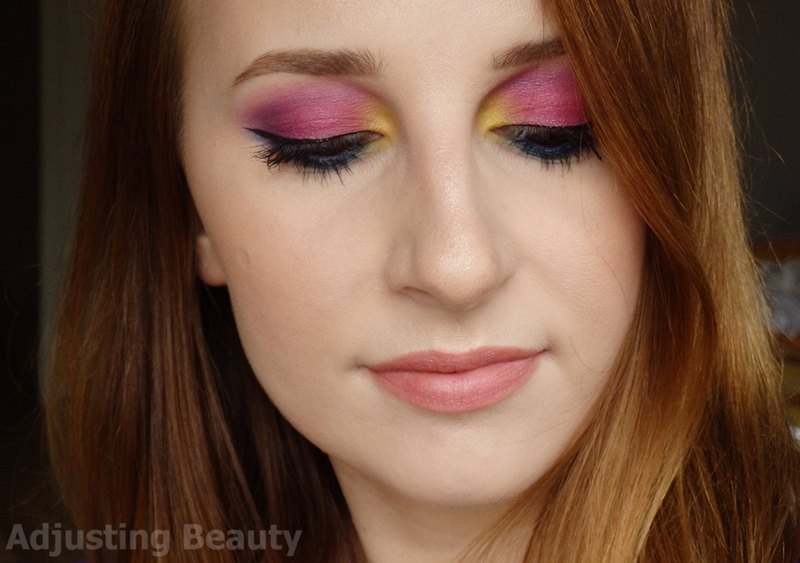 Love the eye look you created with this palette - stunning! The eye pencils look great as well. Thank you <3 :) I love a colorful eye pencil, especially in the summer. So easy to add some color and there are nice :).